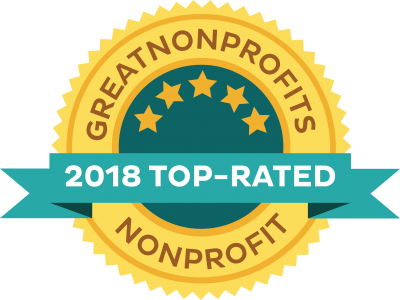 Privacy - Disclaimer - Chromosome Disorder Outreach Inc.
Chromosome Disorder Outreach, Inc. (CDO) is a non­profit (501C3) organization providing emotional support and information to individuals, families and other caregivers coping with a rare chromosome disorder diagnosis. Every effort is made to provide the most accurate and timely information possible on this website. However, research is always ongoing and additionally case reports and genetic journal articles may describe the findings in only a few persons with a specific deletion, duplication, translocation, inversion, ring or other chromosome disorder. The symptoms discussed in any article may or may not apply to a particular individual. Furthermore, the information contained on the CDO website, in our newsletter and in any electronic or regular mailing is to be used for informational, supplemental and educational purposes only. What information does CDO collect from you: details submitted on CDO application forms, contact forms, ask the doctor forms and email messages. CDO collects this information to provide support for rare chromosome disorder diagnoses and symptoms associated with these diagnoses. This collected information is shared only with CDO administrators and genetic consultants as specifically requested by the submitting party. Other sharing: if a member is participating in any networking program, their name and preferred contact method are shared with other CDO families again only as specifically requested. CDO releases its members’ names and contact information only to other CDO families as each member/family requests and only through our networking programs. CDO does not release contact information for site visitors or members in any format to any third parties. Medical and developmental data is never released in any identifiable format. We feel very strongly that each member’s privacy be protected. Information collected on application forms is held strictly confidential and is stored in an offsite secured database accessible only by a small number (<5) individuals. Information submitted on CDO contact forms and email submissions is kept until the reason for the submission has been resolved. Ask the Doctor inquiries: we will occasionally publish on our website frequently submitted questions and answers in our Ask the Doctor section. This information is always de-identified before addition to our site but you may opt out of even this type of sharing too. Information contained on CDO application forms is stored for the length of the individual’s membership with CDO. Information contained on the CDO website is not a substitute for professional medical care and advice. We urge you to always check with your own healthcare provider with any questions or concerns. He or she is most familiar with your medical history and unique situation. CDO’s directors, volunteers and medical advisors cannot know the intricacies of your personal situation. CDO does not endorse or recommend any of the outside resource links provided on this site. When you click on any of these resource links you will be leaving the CDO website. These links are provided for additional informational purposes only. 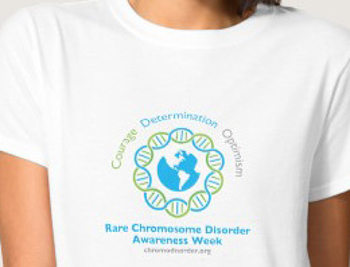 All information on the CDO website is copyrighted by Chromosome Disorder Outreach. Inc. Unless otherwise noted, please request permission to reprint or electronically reproduce any document in whole or in part.